Address: 5569 Kearny Mesa Rd. 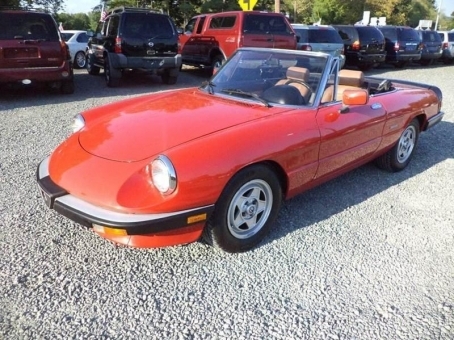 1986 Alfa Romeo Spider Veloce 4cyl, 5 speed manual, 47K Original Miles Very nice car inside and out. Very clean, I do believe it has been repainted but not 100% sure. Seats look like they have been redone and top is like new. Rear glass is like new. The biggest flaw is that the head liner, inside of the top, has not been replaced and looks old. Mechanically this car runs and drive 100%.